All dog grooming, not least Show Dog Grooming, is about a dog having healthy skin, hair, nails and teeth, and these are what defines a well-groomed dog. Dog grooming is the practice of caring for the appearance of a canine for personal or showing purposes, whether applied to show dogs or not. Everyone accepts that dog grooming is so important to do, as it helps cut down on shedding and smelling, but will also lead to healthy skin, hair, nails and teeth for your dog. 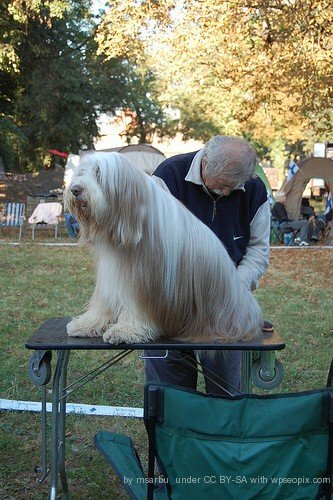 The unsung aspect of grooming is also that it is a great way to cut down on allergies and infections, for both pets and their owners, so it is hardly surprising that top grooming is an essential requirement for all dog show winning dogs. You will therefore not be surprised to hear that show dog grooming is a little different from normal grooming. 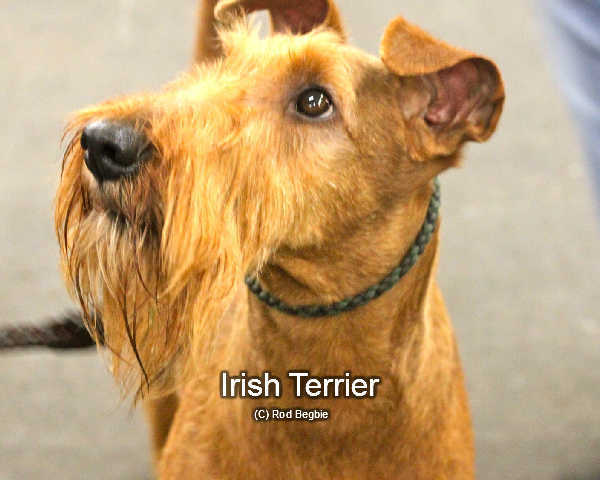 Show dogs represent the best of their breed and must be groomed to perfection to show them off to the best advantage. If you have ever been behind the scenes at a dog show, you will know that getting the dog ready for the ring is quite a skill in its own right. It all happens amid those special grooming tables, with a plethora of tack boxes, and crates utilised to ensure that the show dog is prepared to perfection before entering the judging ring. Once that is accomplished you have to keep them looking perfect. There are show coats to wear to keep the coat clean, pillows to keep that pouffy poodle head, and even sometimes, booties for their feet. Show Dog Grooming Requires Lots of Tack! A tack box is always indispensable to the professional dog show groomer to keep all the tools of dog grooming neatly organized and in reach. The box will need stocking with shampoo, conditioner, finishing sprays, nail trimmers, eye and ear cleaners. Clippers, scissors, and a hair dryer will be included as well. There are bands you will need to carry, specifically to place over the ears, to drown out the sound of clippers for a nervous dog. Chalks and powders are usually included, to brush through the coat remove dust and dirt while petroleum jelly is often very useful to make a nose look moist and shiny. Don’t forget that you will also need combs and brushes suitable for your dog’s coat. For the most part, there is a considerable difference when grooming a show dog as compared to grooming non-show dogs. Show dogs must represent the best qualities of their breed and have to be groomed so that they can show their assets to the best advantage. Show dog groomers basically have two responsibilities. First, is to achieve perfection in appearance for the dog’s particular breed, and second, once perfection has been achieved, is to keep the dog looking perfect throughout the show. Love your article! Some great thoughts here on grooming dogs for the shows.